It gives me an excuse to share some old thoughts that would never see the light of day without that prompt and to pay tribute to someone who I think is one of cycling’s unsung heroes. 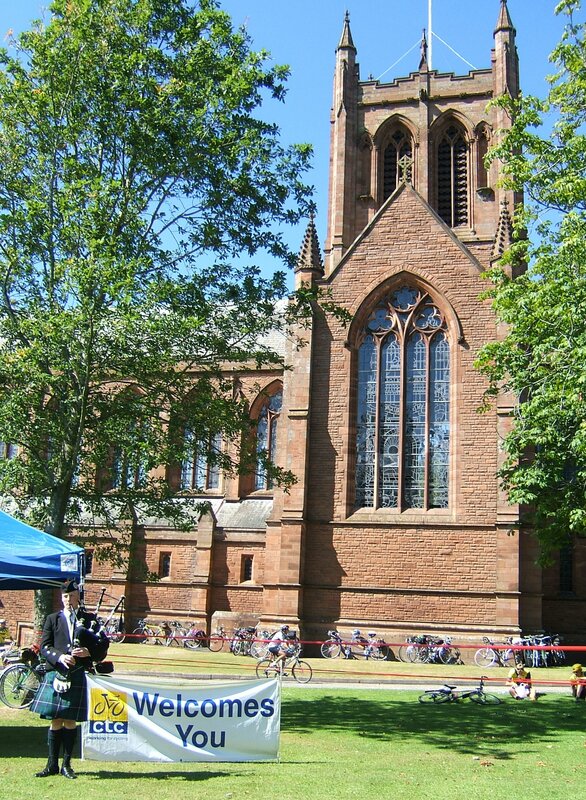 Dumfries in Southwest Scotland can with some justification lay claim to a reputation as one of UK cycling’s tourism best destinations. 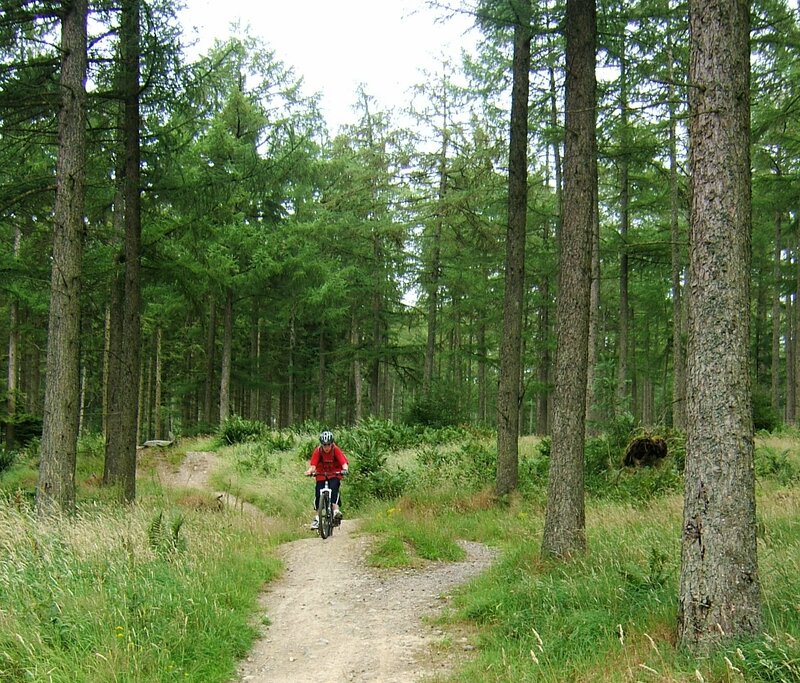 With a local authority who woke up early to the potential of cycle tourism there are a good network of road routes including numerous National Cycle Network Routes, there is incredible mountain biking with five of Scotland’s flagship Seven Stanes trail centres in the area, it lies on many people’s Land’s End to John O’Groats route (the UK’s End to End). It also claims to be the place where the pedal driven bicycle was invented by Thornhill blacksmith Kirkpatrick Macmillan in about 1839. OK, that last one is disputed by some commentators but that doesn’t discourage the locals from celebrating their man. 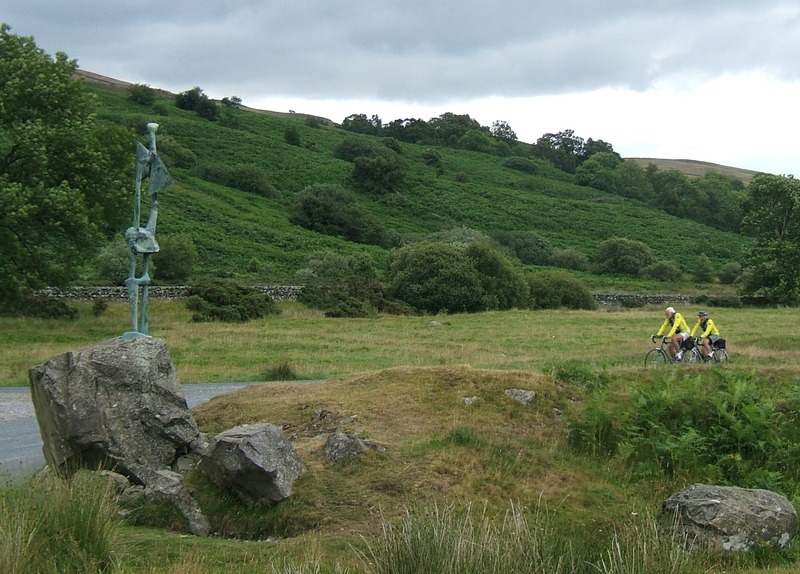 There were many people who can claim credit for the rise of the area as a cycling venue but as each element is explored the name of a local volunteer called John Taylor always comes up. He was actually an Englishman who moved to the area to work as a forester but spent much of his life campaigning for cycling. Among other things his work gave him a unique opportunity to scout the forest for riding sites when mountain bikes were barely invented. I remember the Seven Stanes Development Officer saying that when he first got to the Forestry Commission offices in Dumfries he found a set of maps of centres and routes that had been drawn up by John years before, almost all of which could be part of the new centres. On road he campaigned tirelessly for safety and routes across the whole Dumfries and Galloway area while the Kirkpatrick MacMillan cycle rally was conceived and run by John for many years. And even though he started to struggle with his health and hearing in later life he would cycle 20 miles from Castle Douglas to Dumfries in all weathers to get the train to Edinburgh for national meetings, especially when he represented cycling during the negotiations of Scotland’s world leading access legislation which opened the countryside to users of all types. Without John there was always the risk that cycling might have been frozen out as it was in England’s Open Access law. And so to the Sculpture Trail. 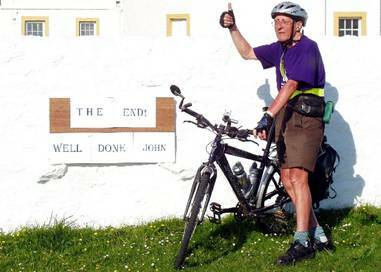 When we came to Dumfries in 2006 for the annual CTC festival of cycle touring “The Birthday Rides” there were a great group of volunteers who hosted the event but it was John who had mapped out the hundreds of miles of routes for us. 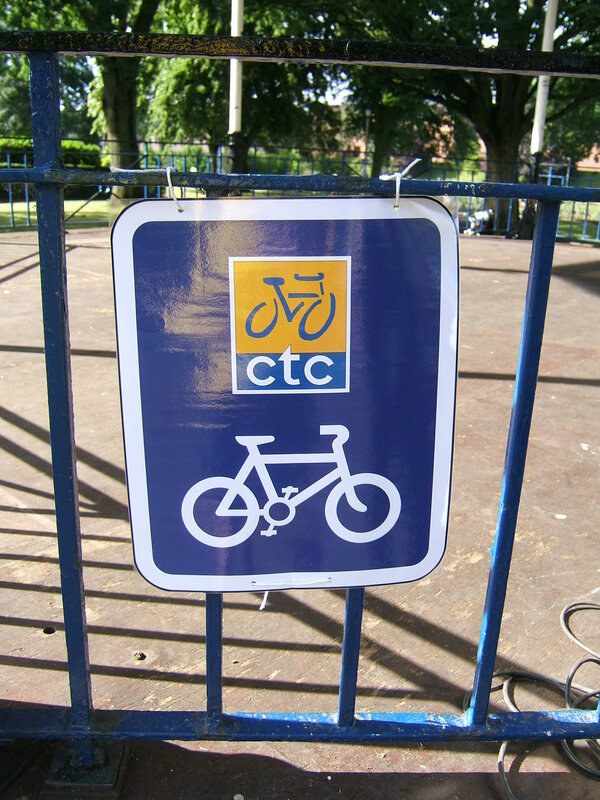 During the planning I was approached by one of the cycling promotion staff from the local authority who said that they has a new route in development that they wanted to open during the event and they had decided to brand it the CTC route “in honour of John”. 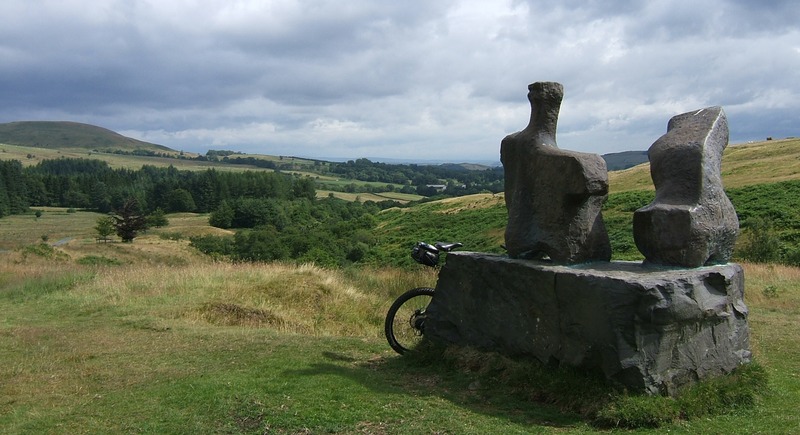 Sadly one of the Henry Moores was stolen last year by metal thieves for its value in bronze but when I rode up there in 2006 I discovered that modern art in a natural setting could be a stunning backdrop to a bike ride. 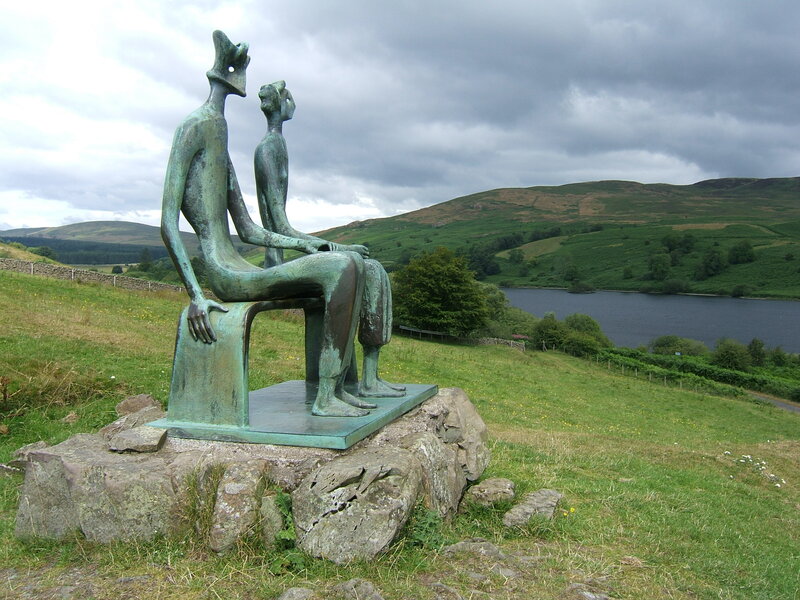 My personal favourite is another Henry Moore. “King and Queen” is in a majestic setting overlooking the valley which is why I put it at the top of this post as my feature image. John Taylor died in 2009 aged 79. As we stood in the pouring rain at a green funeral site in the hills above Kirkcudbright I couldn’t help but feel that he was at home. 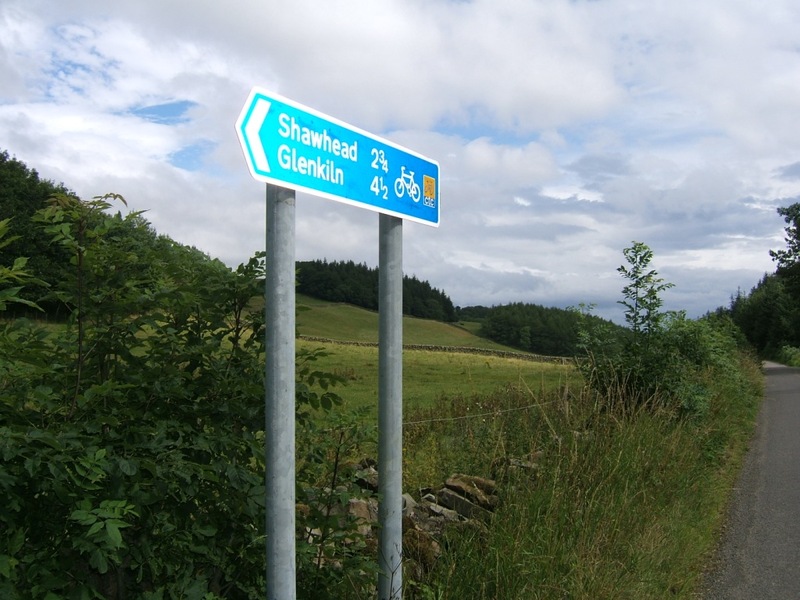 The Glenkiln cycle route is but one of his many legacies for cycling. RIP John.